Loyalty Program Design | Resource Systems Group, Inc.
A leading online travel agency came to RSG after successfully growing an extensive customer base, but finding that customer share of wallet and retention was lacking. Through internal and RSG-facilitated strategic sessions, the team determined that developing and marketing a tiered loyalty program could dramatically increase customer usage of the client’s offerings as well as customer retention. Adaptive conjoint analysis (ACA) was used to evaluate a large set of benefits that could potentially be offered as part of the loyalty program. Discrete choice modeling (DCM) was used to measure the effect of tiers on booking, in terms of the number of tiers, the thresholds for achieving tier status, and the key benefits that should be offered to customers at each tier to maximize share of wallet, retention, and profit. RSG-led strategy work sessions provided a forum to build internal buy-in and impact with the client. Profitability forecasting models indicated that some of the most preferred existing benefits (i.e., those driving usage) were the most costly and were significantly eroding profits. RSG recommended adding key benefits to tiers that maintained interest while incentivizing repeat usage, and importantly, were profitable. Soon after this project’s completion, the client released its tiered loyalty program, with tiers (and benefits in each tier) in-line with RSG’s recommendations. 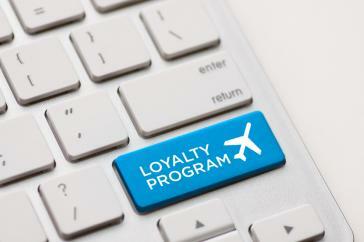 The loyalty program is demonstrating the effect of adding to consumer lifetime values by increasing both the stickiness of consumers, along with increased annual usage of the travel agency.